May 2018 seems to be a good month for car lovers in the country, as a lot of new cars and updates of current cars are expected to be launched in May. From Japanese automakers – Honda and Toyota to the BMW group plan to introduce new cars in India in this summer. The new 2018 Honda Amaze is expected to launch on 16th May 2018. 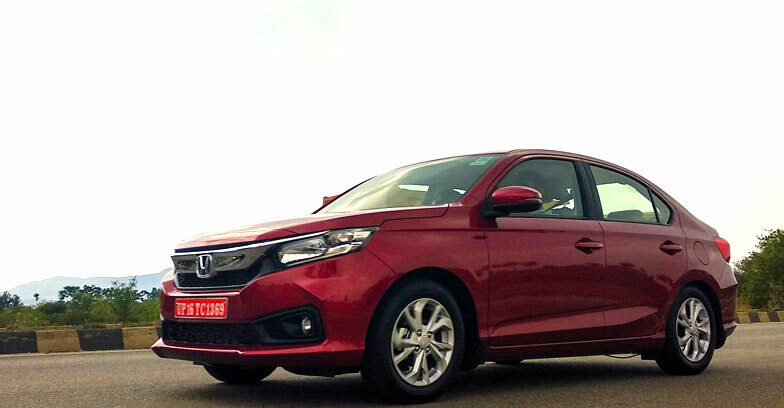 The car has been designed and engineered in Thailand with inputs from engineers working at Honda Cars India. The new Honda will take on the stiff competition with Tata Tigor, Volkswagen Ameo, Hyundai Xcent and Maruti Suzuki Dzire. Honda showcased the car at the 2018 Auto Expo. BMW will launch its MINI Countryman on 3rd May in India. BMW showcased the new MINI Countryman at the Auto Expo 2018. More interior space and new tech features like large touchscreen infotainment system, Cruise Control, Head-up Display and MINI driving modes are the main attractions of MINI Countryman. Tata will launch the much-awaited Nexon AMT in the Indian market in May. According to reports Nexon will be the first car in the segment to offer a petrol AMT along with a diesel AMT version. The Nexon AMT will get a new color and it will also be the most affordable automatic SUV in its segment. Japanese auto giant, Toyota will launch the mid-size sedan Toyota. The rival including Honda City, Maruti Suzuki Ciaz, and Hyundai Verna have all reasons to worry about the entry of Yaris into the market. Toyota Yaris will be available only in petrol variants with both manual and CVT gearbox. The bookings for Yaris sedan has already commenced.